HIP Co-founders Fabian Brown and Joe Gentile. Credit: Matt Skoufalos. On February 16, four local businesses will send taco fans on a two-mile trip along Atlantic Avenue in a cross-promotion designed to help connect a quiet business corridor. Aaron Clark of Smoke BBQ in Audubon. The love of tacos is a fairly ubiquitous truth, and one not lost at all on Aaron Clark, the pit boss behind Audubon’s Smoke BBQ. 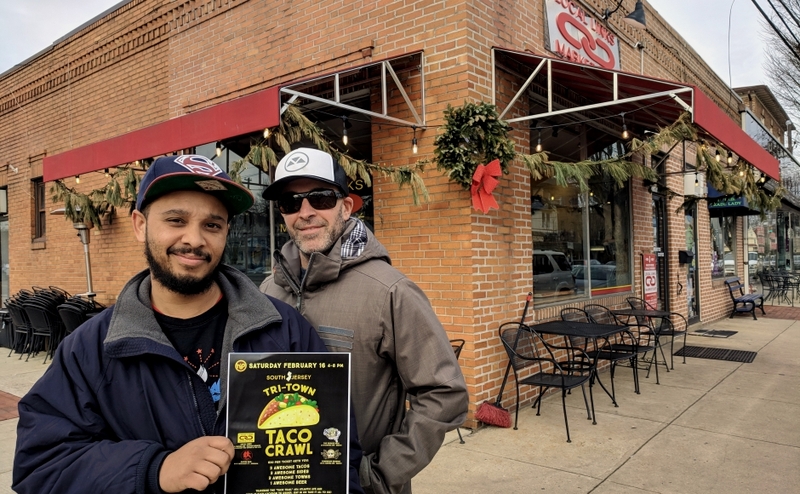 On February 16, Clark will introduce both to a caravan of tasters via the South Jersey Tri-Town Taco Crawl, a cross-community cross-promotion that will take curious customers on a two-mile trek through three neighboring towns. At $30 apiece, ‘taco tickets’ are good for three tacos, three sides, and a locally brewed beer. Credit: John Falco. 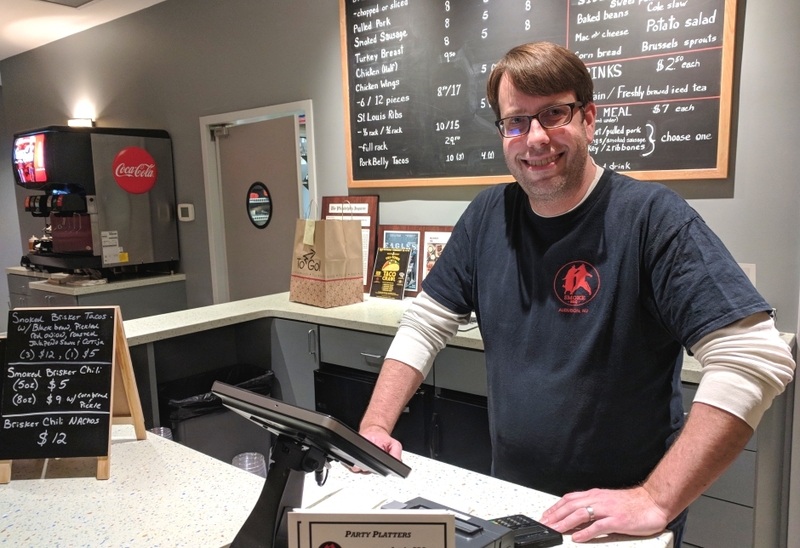 The four participating restaurants—Audubon’s Smoke, Local Links of Haddon Heights, and the Oaklyn-based Square Meal and Tonewood Brewing—are located within a two-mile stretch of Atlantic Avenue. That’s a seven-minute drive between the two farthest points on the map. Other than a close geographic proximity, the businesses involved share a cooperative spirit their owners say is necessary to carve out a local niche. The idea is organized by Haddon Heights in Progress, the borderless business boosters group co-founded by Local Links owner Joe Gentile as an antidote to zip-code-focused promotions. “This is what we’ve been trying to do for the past five years anyway, becoming more regional as an organization,” Gentile said. “We are looking at all these towns in this corridor to start to benefit from one another’s strengths. Connecting the communities along the Atlantic Avenue corridor has always been a long-term vision, Gentile said. In order to survive, small businesses like his rely on a greater customer base than the population of any of their individual towns. He sees HIP as a way of organizing around that need. “You’re taking down walls and building bridges,” he said. “Aaron can’t do it without Heights; I can’t do it without Audubon and Oaklyn. Jackie Walther of The Square Meal said the Taco Crawl is a good antidote to the isolation of the winter months. Like Local Links, her restaurant runs a “Taco Tuesday” special (jerk chicken and vegan are the most popular). She thinks the Feb. 16 event is a great way to welcome newcomers. “I think it’s fun and different, and it’s important to stay connected to other towns,” Walther said. 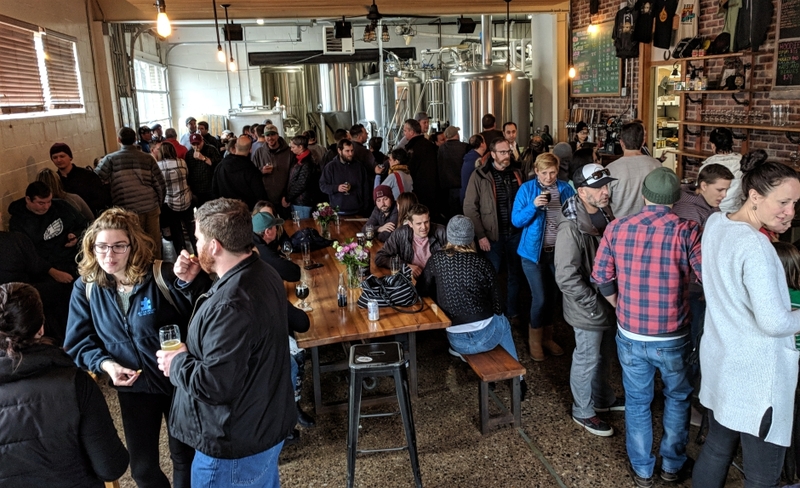 Tonewood Brewing co-owner Eli Facchinei said he hopes the event will generate more public interest in the Rails to Trails Conservancy project. 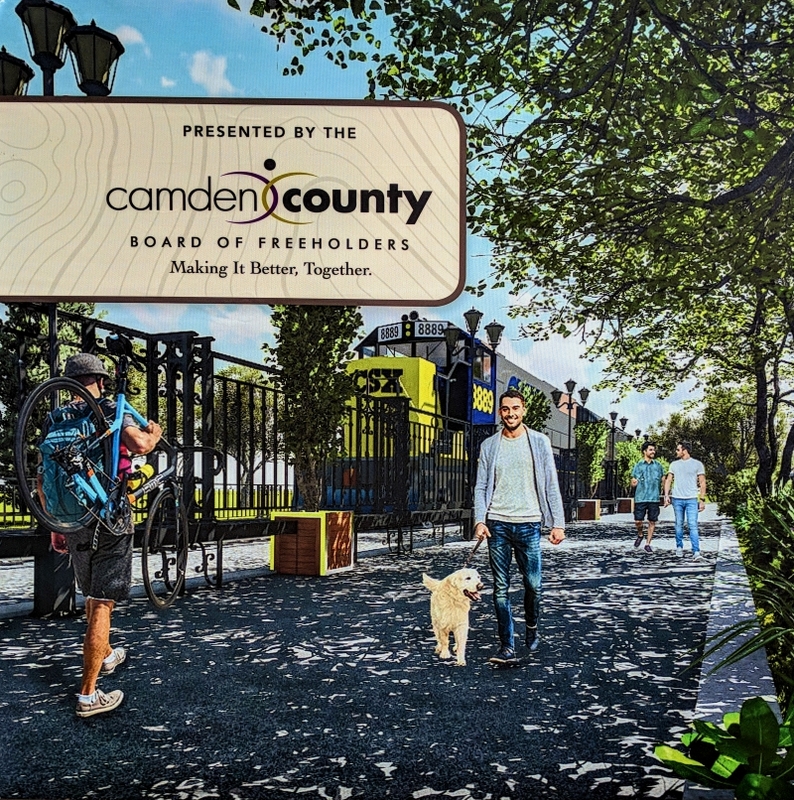 Last year, the conservancy held a pop-up event to drum up support for its plan to convert land alongside the Conrail train tracks into a public walking and biking path. The tasting room at Tonewood Brewing in Oaklyn. Credit: Matt Skoufalos. “It would help facilitate more events and connections having that trail access, rather than having to brave Atlantic Avenue with no sidewalk,” Facchinei said. “If you can make it more pedestrian-friendly to get through all these towns, it would really promote people supporting the businesses, and getting on their bikes and riding. 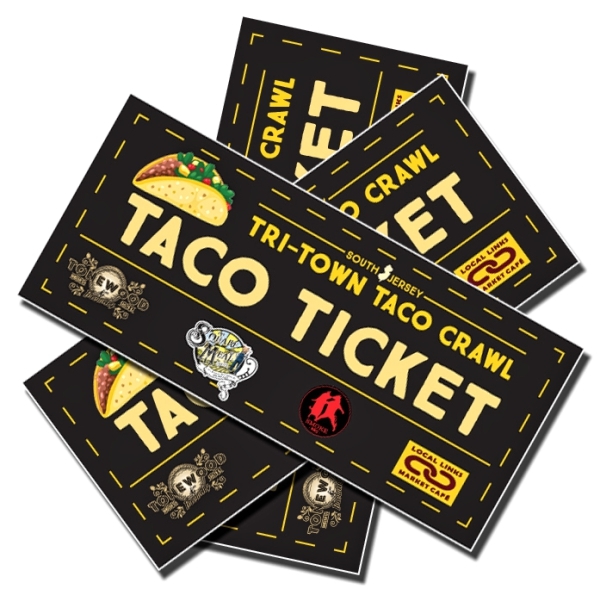 The Tri-Town Taco Crawl will be held Saturday, February 16, from 4 to 8 p.m. Tickets are $30 and available for purchase at Local Links Market Café in Haddon Heights. For more information, visit the event page here.